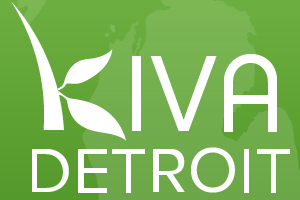 Kiva Detroit, Kiva’s first domestic microlending initiative—and the country’s first community-led microlending program—spent its first year focused on growing the social network of lenders and community volunteers on the ground actively recruiting small businesses in need of a loan. Now, it will partner with the Michigan Economic Development Corporation (MEDC) to build capacity and, if all goes according to plan, implement Kiva Detroit’s microlending/crowdfunding model in other Michigan cities. Greg West, the MEDC’s community lending manager, says the state economic development agency wanted to fill a funding hole. “We recognized a clear gap in available institutional capital for small businesses and entrepreneurs,” he notes, saying that the need for launch capital was particularly great. After discussing its potential involvement in the program since last fall, the MEDC announced at last month’s Mackinac Policy Conference that it will allocate money to Michigan Corps to ramp up services and focus on the social lending aspect. “The goal is really to focus on bringing the community in.” West says that, ideally, two additional cities will be online using Detroit’s business model by the end of the MEDC’s two-year partnership with Michigan Corps. Kiva’s microlending program in Detroit hinges on community involvement, both online and in person. Garlow says there are approximately 800 people in the Detroit network willing to lend money to small businesses in $25 increments for total loans of between $1,000 and $10,000. Nine businesses have received loans in the past year, with the most recent being a car detailing business, and Garlow says a few more are in the pipeline. The Knight Foundation doubles each loan through a 1:1 match. As an ex-pat Detroiter now living in New England, this is great news! I’d be happy to be among the contributors – how would someone originally from Detroit get involved as a funder? Right now, there is only one project up for funding, but that will change very soon.